I'm back with another card for the reminder post at The Flower Challenge where this month, we have an Anything Goes theme. I must have been in a purple mood because my last card was also purple and I rarely use purples! I was going for a quick and simple card, and I usually head down the ink-blended/silhouette stamp road when that happens. I blended various purple distress inks onto a masked panel and then spritzed with Perfect Pearls mist. 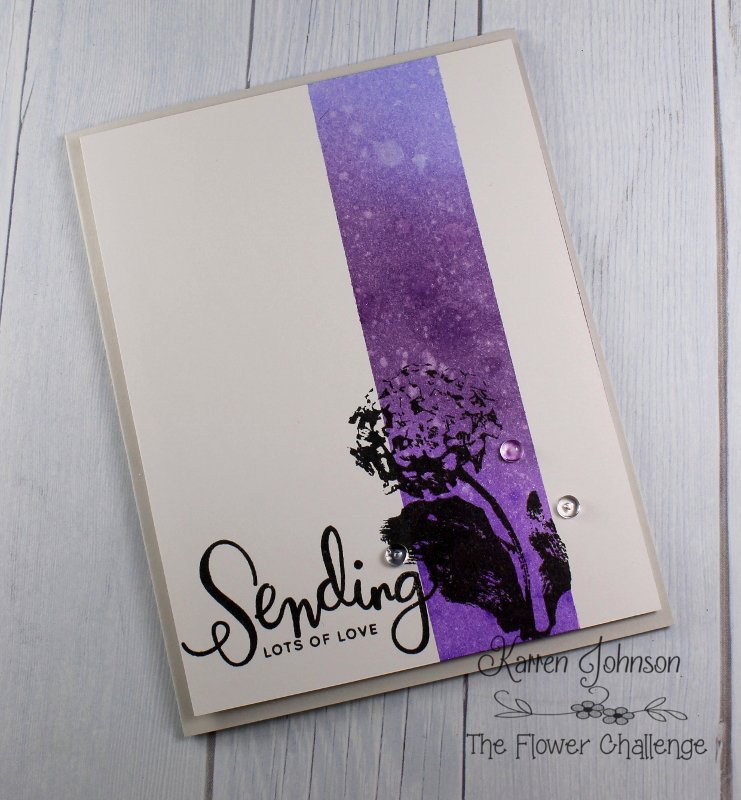 After removing the masks, I stamped the hydrangea image from Penny Black and the sentiment from Simon Says Stamp. I made a quick video showing how I made my card, which you can watch here or over on YouTube. Thanks for visiting! 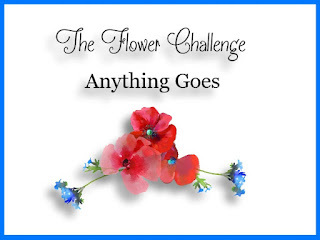 Please head on over to The Flower Challenge blog and see what my talented teamies have come up with. I love how you "coloured" your floral image ;-) Fabulous card! Full of flair and drama....love it! 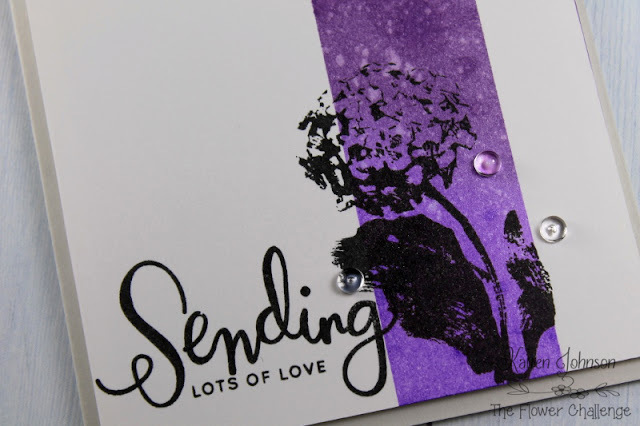 Beautiful CAS card, Karren! I'm glad you chose purples for your masked panel...it works so well with this lovely hydrangea silhouette, and your sentiment is just perfect! A beautiful sponged strip and a lovely hydrangea silhouette, Karren!!!!! So lovely, stylish and elegant!!!!! 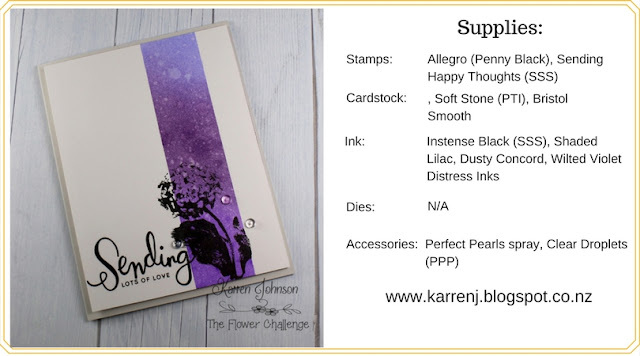 Your purple mood results in stunning cards, Karren! This one is so clean and elegant. Love that hydrangea silhouette over the striking background. Beautiful card, love the purple with the silhouette stamped image. Have to try this, amongst the major size list of other cards I want to try. Purple is my favorite color, next to red. I'm so glad you did a video on this. TFS.